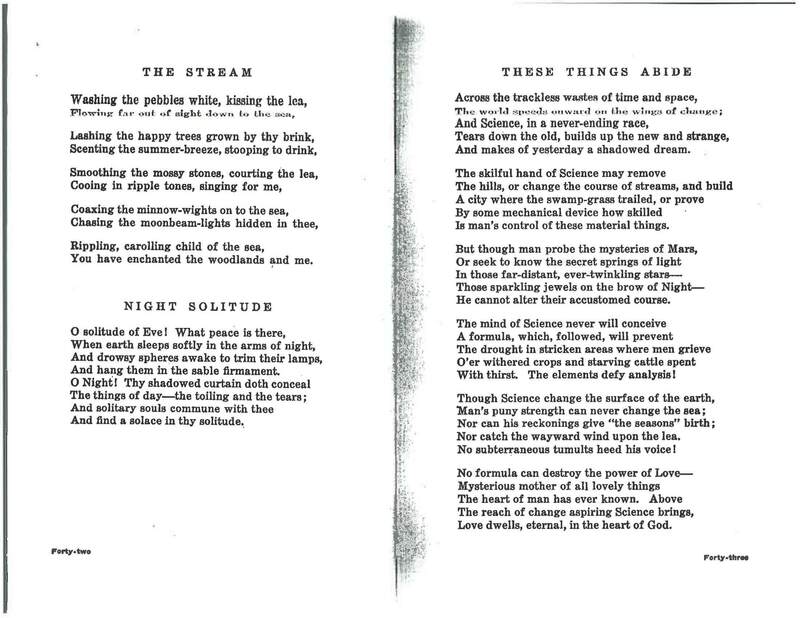 Rowan, Alice Margaret. 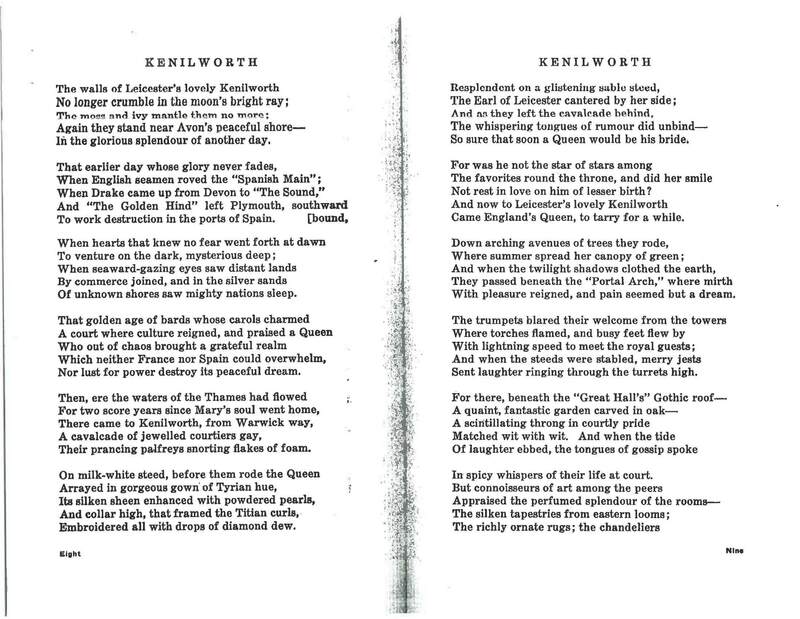 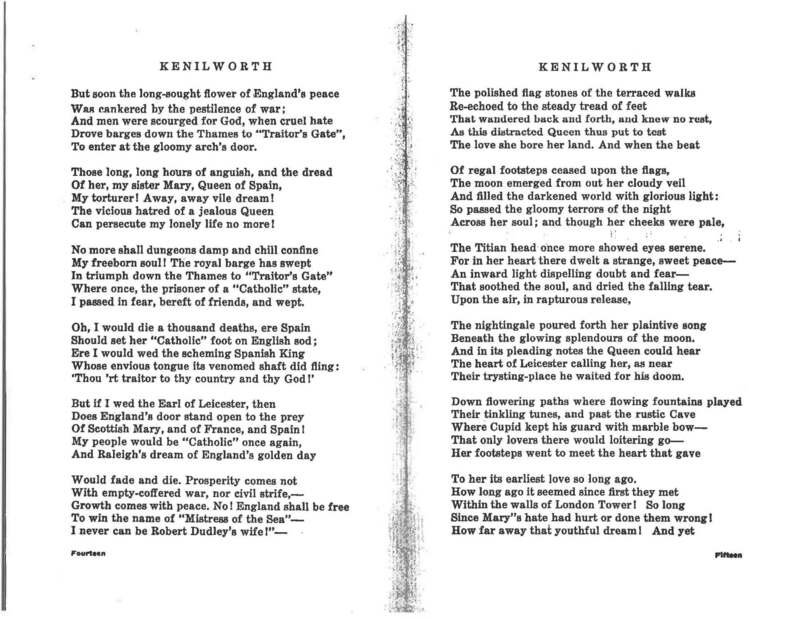 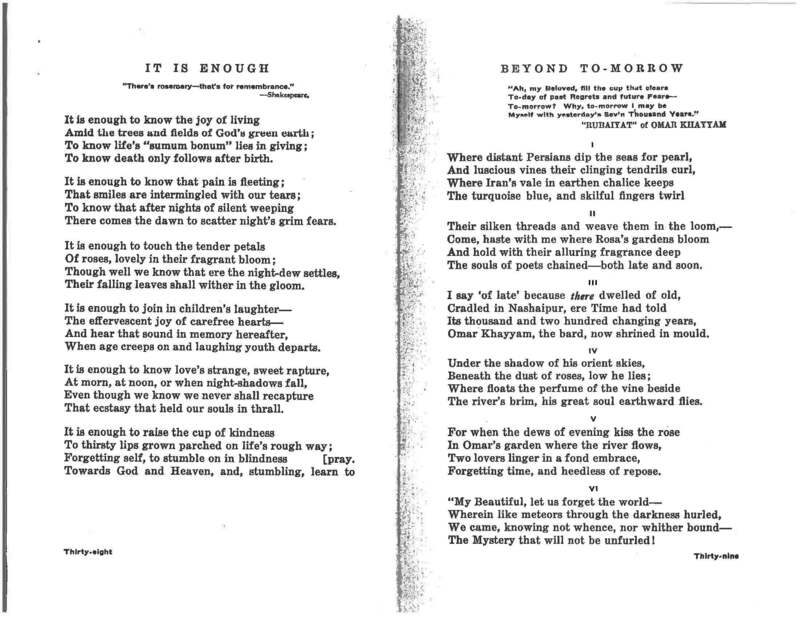 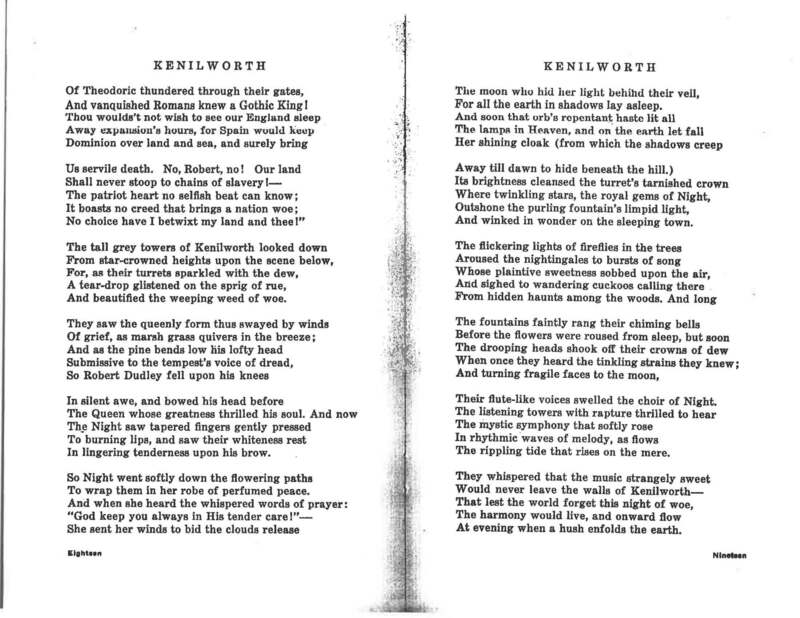 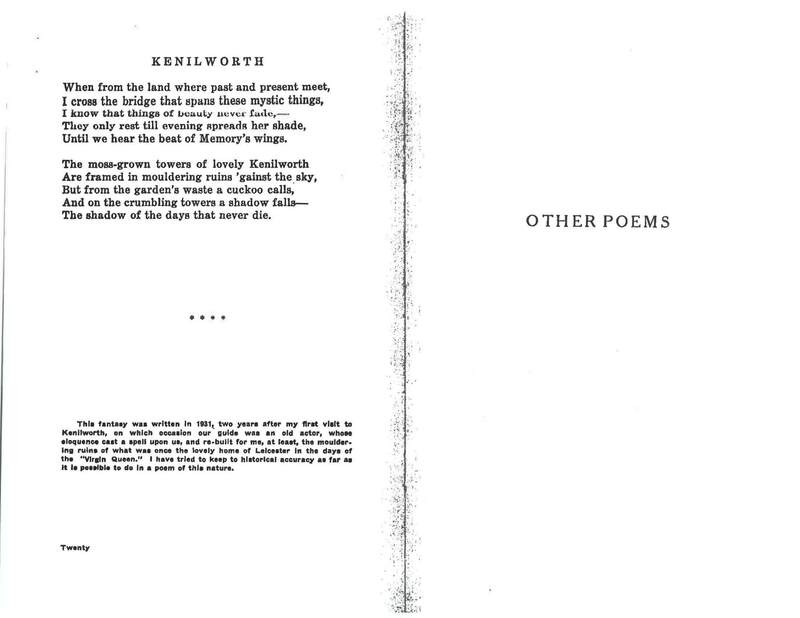 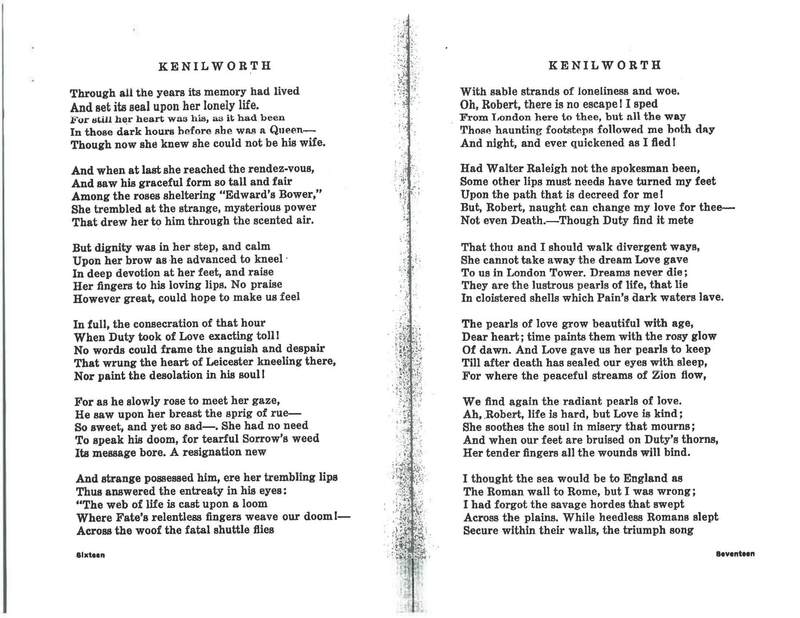 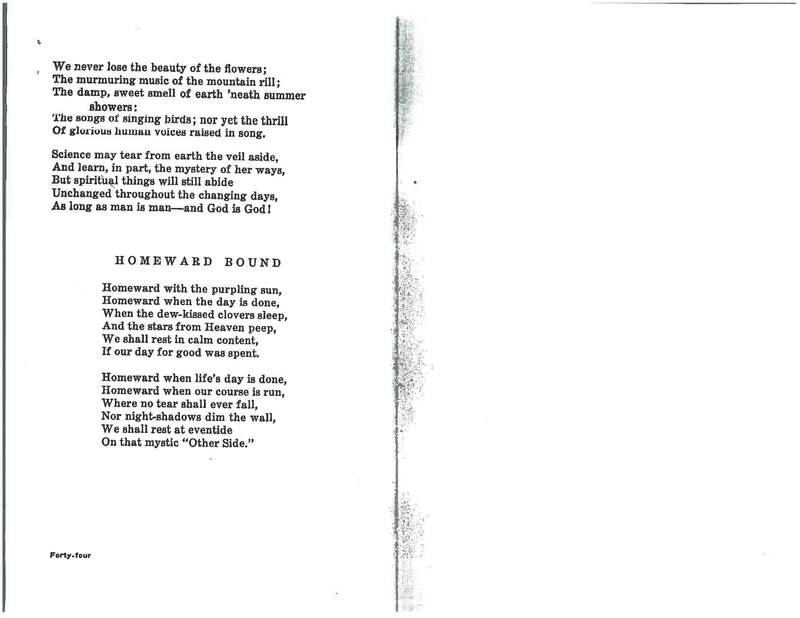 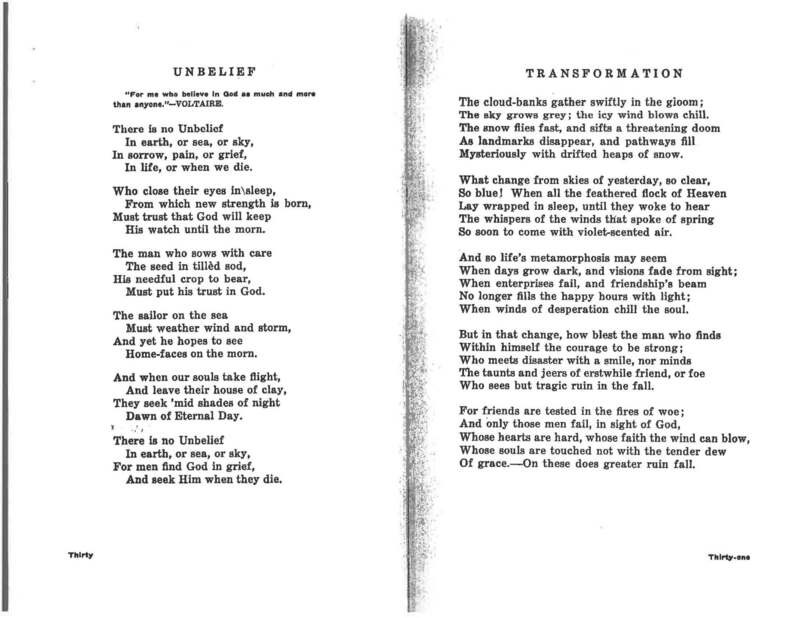 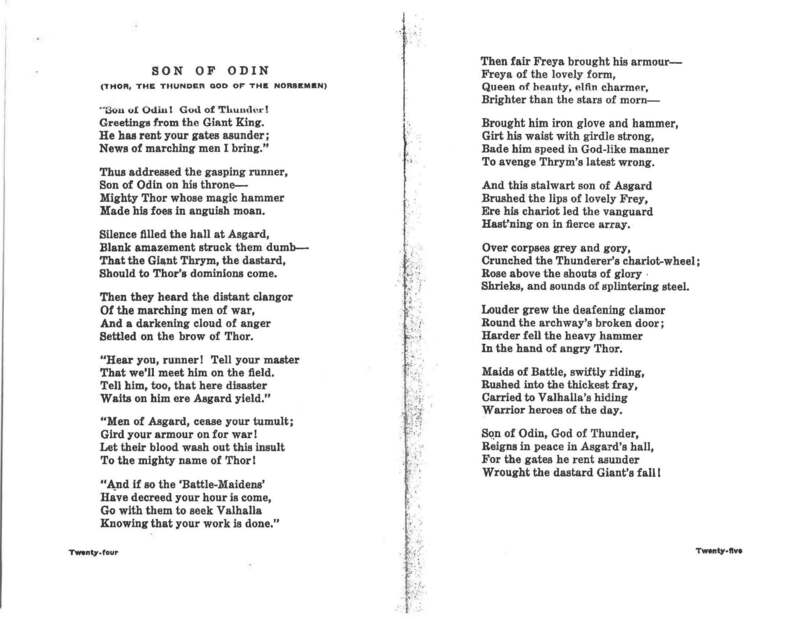 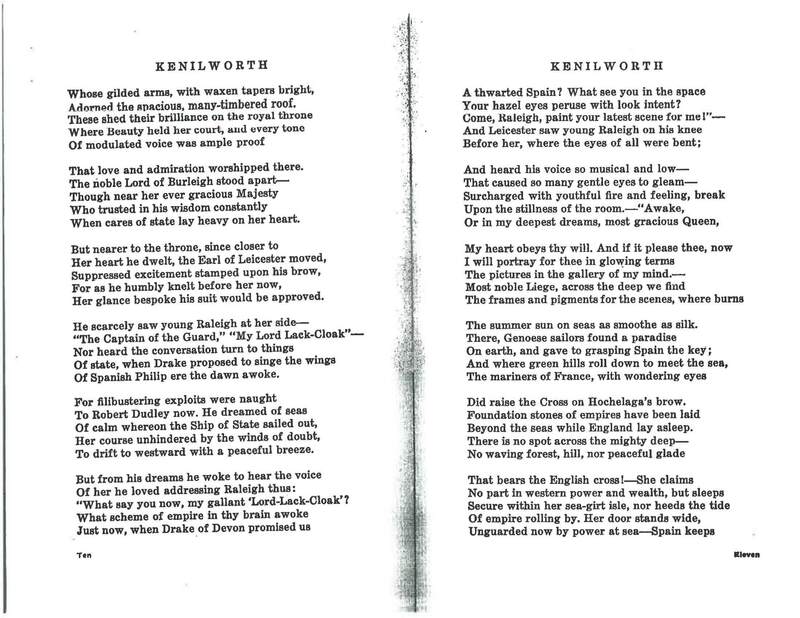 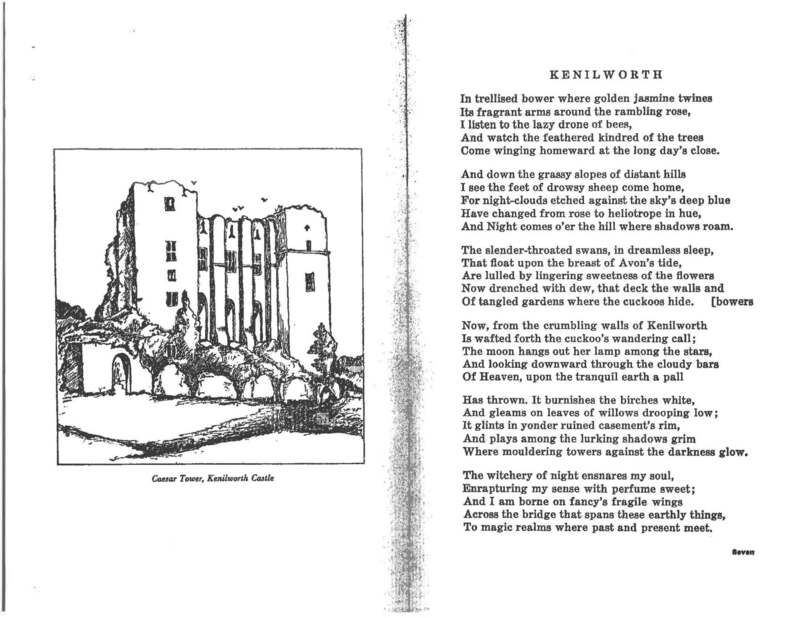 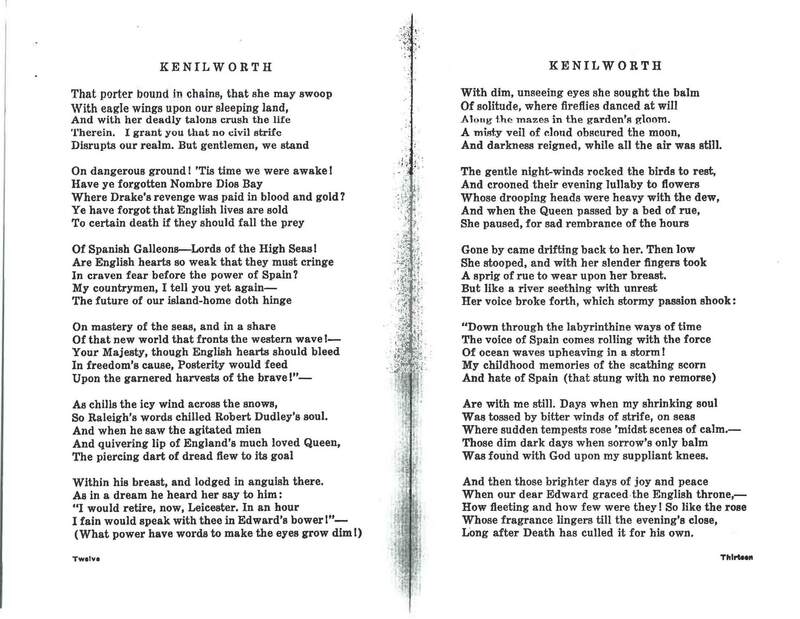 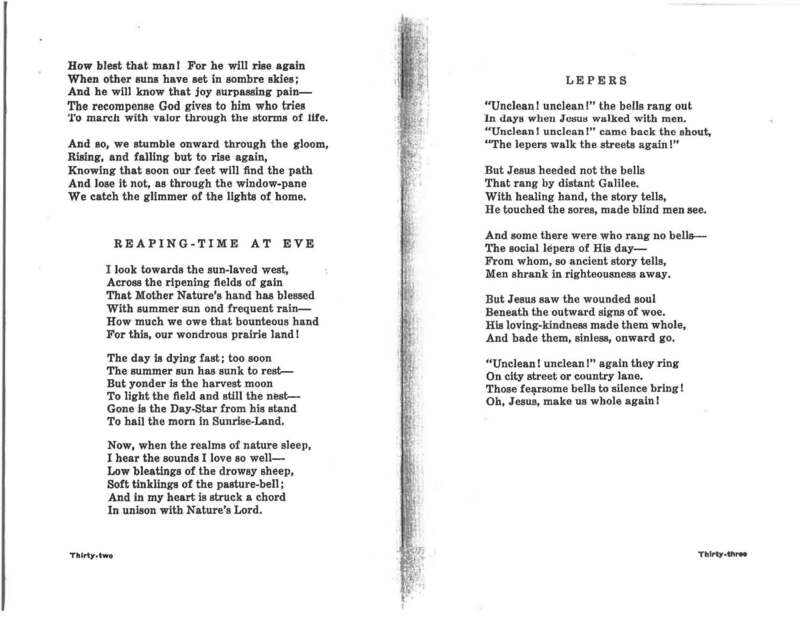 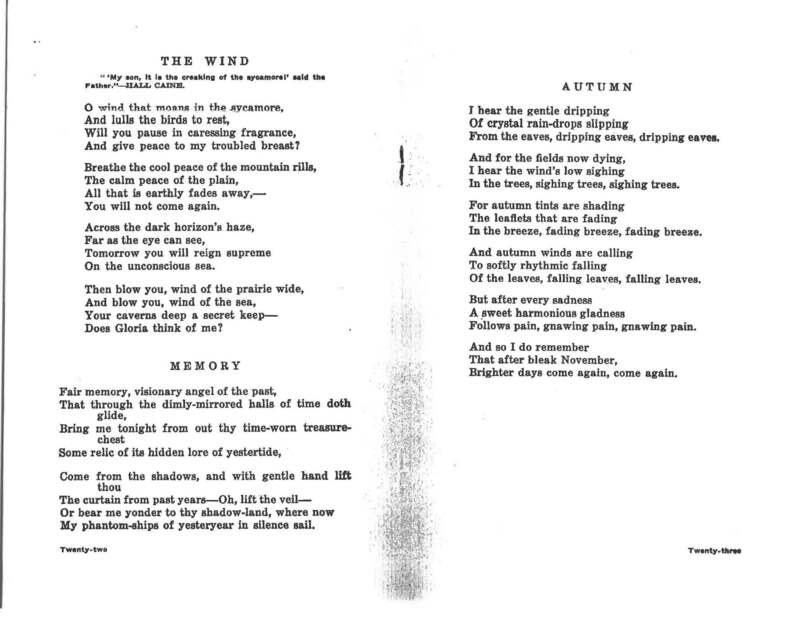 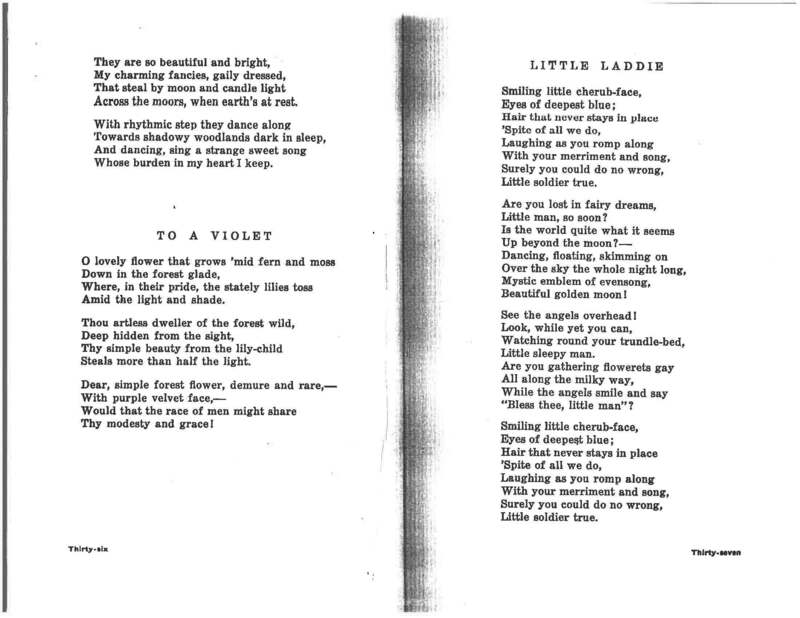 Kenilworth and Other Poems (Winnipeg: Peerless, 1934). 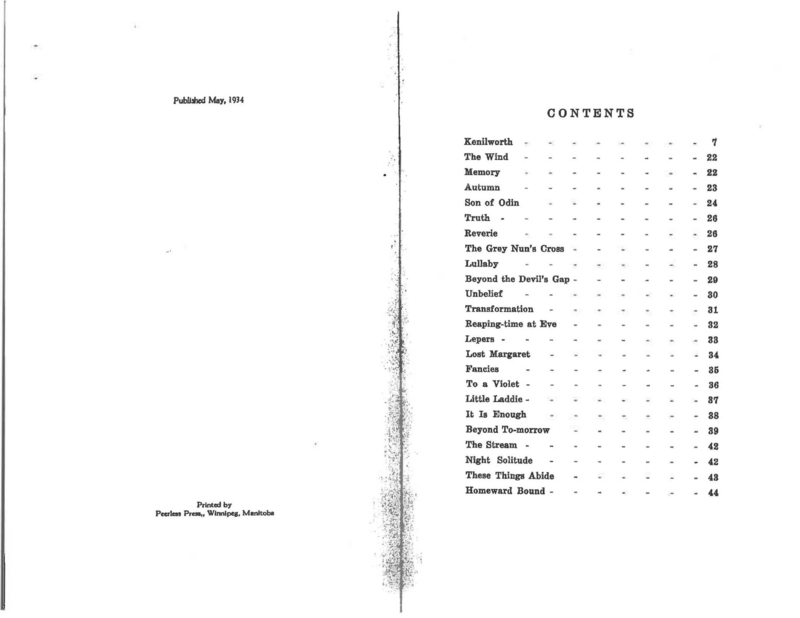 I am currently digging through a manila folder that I have found, buried on a shelf, labelled “Insufficient Information” back in the 1980s when the initial project was amassing data through letters and visits to archives. 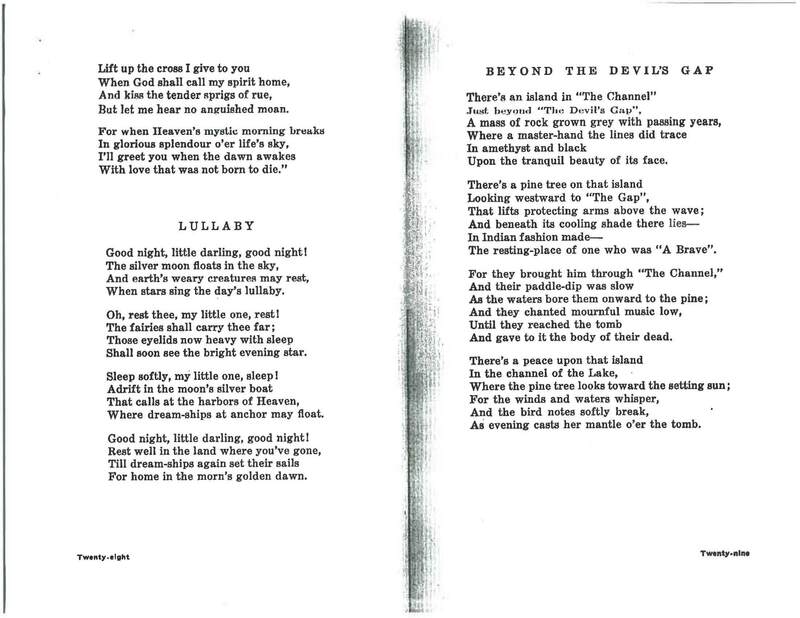 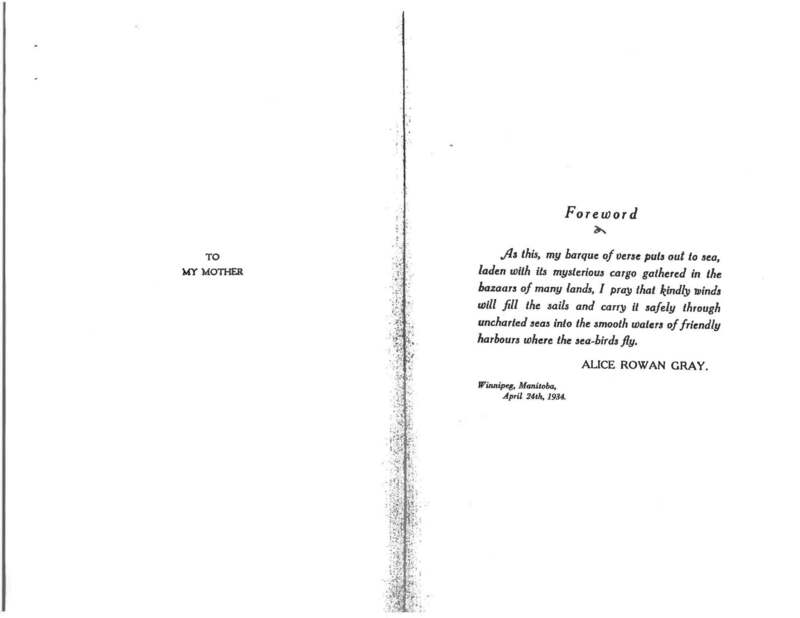 I have discovered more information about a number of authors, but not much about Alice Margaret Rowan Gray, except that she lived in Winnipeg at least between 1920 and 1940, had a BA from the University of Manitoba, and was a member of the amateur theatre world in Winnipeg, where she is listed as Alice Rowan-Gray. 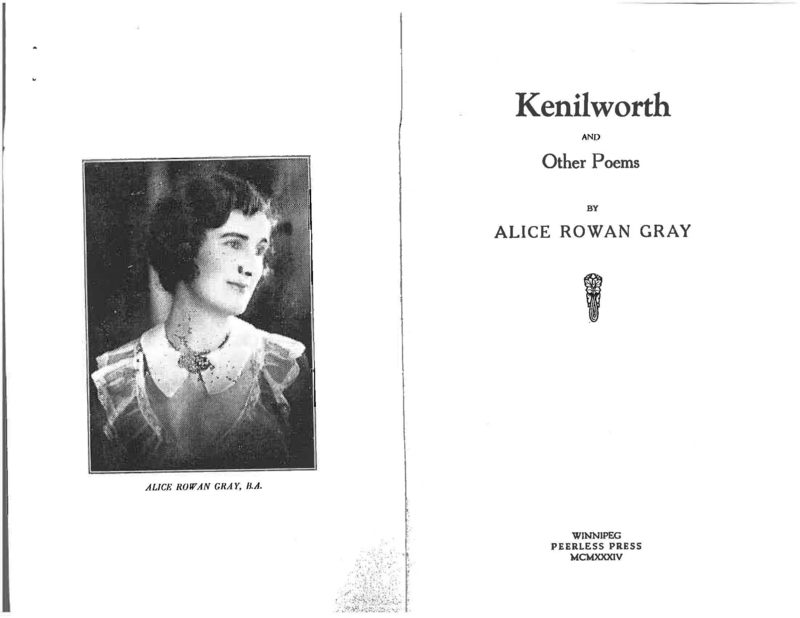 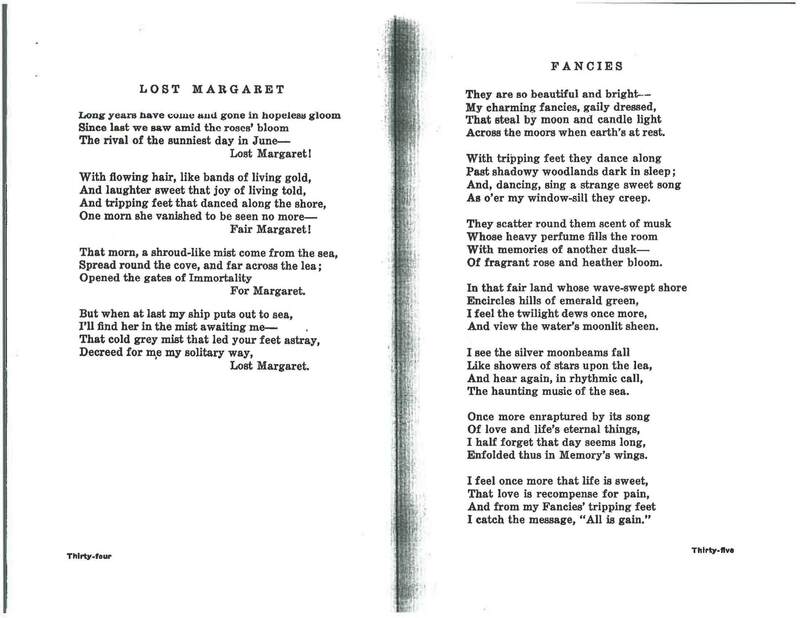 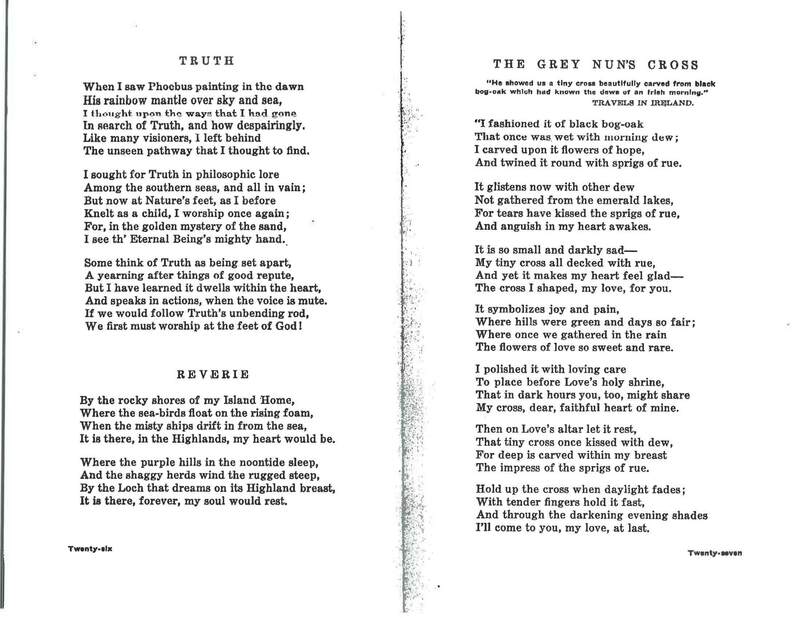 She published two books of poetry: her first slim volume, entitled simply Poems, was published in 1925; her second (perhaps last), Kenilworth and Other Poems, was published in 1934. 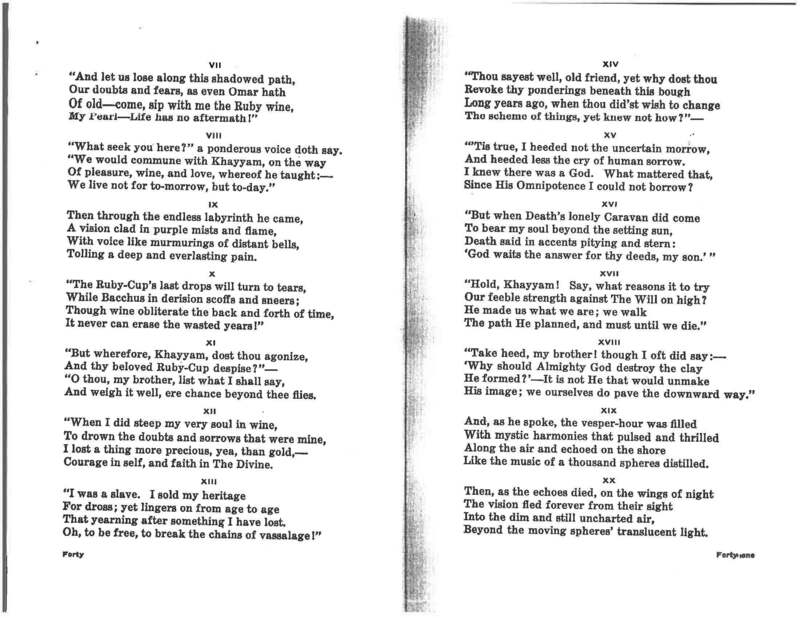 In the folder I found, to my delight, a photocopy of the entirety of the latter volume, which I share with you here, in page images and a searchable pdf.